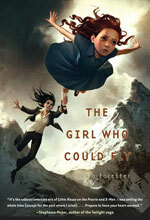 Lisa Paitz Spindler » Danger Gal Friday: What if there were more young heroines? Danger Gal Friday: What if there were more young heroines? Today’s topic for Danger Gal Friday is a bit of a departure. Usually, I profile a female character in Science Fiction or Fantasy who I think subverts common stereotypes about women or who is at least a strong female character of note. Hermione Granger is definitely a strong character in the Harry Potter stories and a good role model in young adult fiction. She is highly intelligent and is rewarded and respected for that intelligence. The adults around Hermione encourage her to develop her already finely-honed intellect. While certainly one of Harry’s sidekicks, it’s clear that Hermione has plenty going on in her life besides Harry’s exploits. She is a well-rounded secondary character who doesn’t fall into many of the girl friday sidekick stereotypes. (A few people think Hermione is a Mary Sue character for J.K. Rowling.) Having said all that, there’s something that’s always bugged me about the Harry Potter universe. Why wasn’t Hermione the main character in this series? Haven’t we seen enough stories like this with a boy as the main character? Luke Skywalker anyone? (who was originally supposed to be female). The movie UP is about a young boy and an old man. The robot in Wall-E is portrayed as masculine. Toy Story is about a boy’s cowboy and spaceman toys. Ratatouille’s main character is a young man. The dog in Bolt is male. The main character is Kung Fu Panda? Boy. The Incredibles is mostly about the father. I haven’t seen the Percy Jackson flick, but it seems like a Harry Potter wannabe — and I assume the main character is Percy Jackson, boy hero. Ice Age? Three male main characters. Some of these stories have great female secondary characters like Hermione, Kung Fu Panda’s Tigress, and The Incredibles’ Helen and Violet. However, there’s really only one movie I can think of — aside from Disney princess movies — that has a female lead character and that’s Susan from Monsters and Aliens. Susan will definitely be a Danger Gal profile in the near future. I have to point out, though, that of eight or so recent movies, one of them has a female lead. That’s not exactly a good track record. (UPDATE: I thought of one more after I wrote this: Ella Enchanted, but again, that’s a comedy and what’s at stake is not the world.) Aside from Disney princess movies can you think of any aimed at children and young adults that have a girl or young woman as the main character? (Please don’t say Twilight. I’d recommend a young woman read about Hermione Granger any day over Bella Swan). Buffy hasn’t been on screen for some time, but that show was really never meant to appeal to the same audience the Harry Potter stories. So, in the comments, talk about your favorite girl hero and if you can’t think of any, what kind of heroine would you like to see? What books would you recommend with young or teenage heroines? 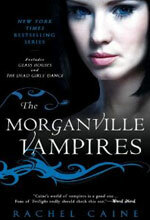 Two on my list include The Girl Who Could Fly by Victoria Forester and pretty much anything by Rachel Caine in her Morganville Vampires series about Claire Danvers. On screen, I’d like to see a more serious movie version of Sabrina, the Teenage Witch. Disney has a show called Wizards of Waverly Place with a female lead, but it’s a comedy and doesn’t deal with issues on the same level Harry Potter does. I’d love to see an update to Nancy Drew or something similar. NOTE: In a sad example of how this type of story is just plain missing, take a look at this accidental search I did on Amazon while writing this post. Hi Lisa — Lyra from Pullman’s His Dark Material series is the only one that came to mind for me. Interesting post! I’d like to see more girl leads too. There’s trilogy of books, the first one is called “The Bone Doll’s Twin” where the main character is a girl but in order to protect, she’s disguised by magic as a boy from birth so even she doesn’t realise until later on. It’s an interesting take on a female lead. I think Sophie from “Howl’s Moving Castle” is a pretty good female lead. She doesn’t think much of herself at the beginning of the book and when she is put under a Witch’s spell, she appears as an old woman because her outside now reflects her sense of self. As she overcomes her obstacles, she grows in confidence and her rough exterior eventually reflects how she now feels about herself and she returns to being a pretty young woman. I think most young adult books have male leads because the authors are trying to attract male readers. Girls read more than boys and they’ll read books where boys are the main characters, but boys might not be as interested in reading about a girl character. Also, I believe J.K. Rowling used her initials because she thought boys might not want to read a book written by a woman. So if boys don’t want to read a female author about a female character, the authors will do what they need to in order to attract an audience. The Hunger Games heroine – Katniss – is pretty impressive. >So if boys donâ€™t want to read a female author about a female character, the authors will do what they need to in order to attract an audience. Makes me wonder–at which point will we all decide that female protagonists/leads are worthy enough to command more attention? What will it take for both authors and readers/viewers to take that risk? Why not take on the challenge of engineering an environment where female-led stories become profitable? It would be nice if Hunger Games could start to turn the tide. I want my daughter to grow up with more choices than I had. Given the pressure in the market for male protags, I’m wondering if stories could start with featuring joint protagonists, one male and one female (whether there’s a romance or not). Might be a place to start. Coraline in the Neil Gaiman book and movie of the same name is one of my favorite female protagonists.